Venus, our nearest neighbor, is one of the most inhospitable places in the solar system, it’s surface is often said to resemble the classical images of Hell, a really awful place that will kill you in less than 10 seconds. Right now, Venus is more than 800°F (426&deg:C) on a normal day, that is hot enough to melt lead; with an atmosphere composed primarily of carbon dioxide (96.5%) — about 90 times denser than Earth’ is — and much higher surface atmospheric pressure, Venus is a place of extremes, definitely not a friendly planet for humanity. But at some point in the past, more than 4 billion years ago, Venus wasn’t a desolate wasteland but actually a cool place as some scientists believe. 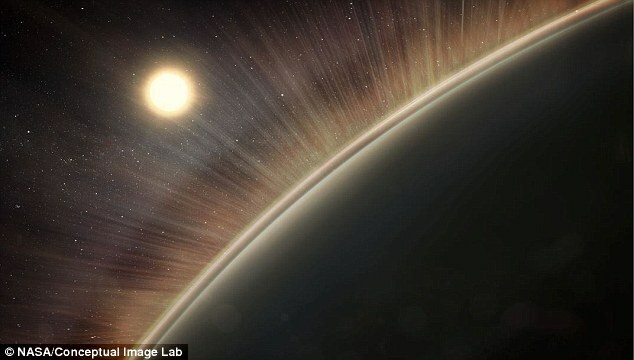 Venus is often thought of as Earth’s twin sister because of its size, mass and gravity and there’s evidence that once it contained oceans of water. But, as the surface’ temperature of the planet rose to 470°C, all the water boiled away presumably as vapor, into the atmosphere. Nowadays, the atmosphere of the planet has 10,000 to 100,000 times less water than Earth’s atmosphere.. Something had to remove all that steam, so where is that water today? 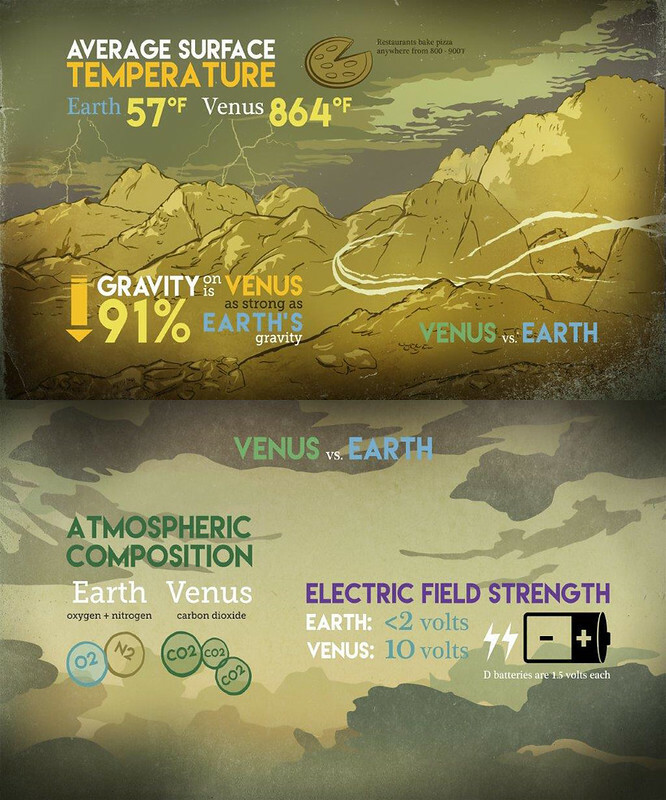 Previous studies theorized that the solar wind as the likely suspect, but now, a new research reveal that Venus is far more hellish than we previously thought. According to a new study published in the journal Geophysical Research Letters, unexpectedly strong electric wind sucked oxygen out into space, thus stripped Venus of its oceans. Just as every planet has a gravity field, the force that holds together everything in the universe, some scientists suspect that every planet with an atmosphere is also surrounded by a weak electric field. While the force of gravity is responsible of holding down the atmosphere of the planet, the electric force can help to push the upper layers of the atmosphere off into space. So far, we have not been able to detect it even in our own planet, but scientists believe its there, but these electric fields are very, very weak. Venus is different. Its electric field is enormous, so strong that it can accelerate even the heavier ions to speeds fast enough to escape the planet’s gravity. These new results may have implications and information that could help us to understand other worlds around the solar system and beyond. said Andrew Coates, who leads the electron spectrometer team at University College London in the U.K.
co-author on the study Alex Glocer said in the statement.